No, Cosmo. It is you that is clueless. Abortion and the Holocaust are so inextricably tied together, no amount of airbrushing could paint a different picture. The American Eugenics movement was the single-most potent influencer of Hitler’s ethnic and racial cleansing “solutions”. Planned Parenthood’s founder, Margaret Sanger, was a member of the American Eugenics Society (AES). Guttmacher Institute’s founder, Alan F. Guttmacher (also President of Planned Parenthood) was the Vice President of AES. Most leadership involved in Planned Parenthood throughout the early to late 20th century, were involved in the American Eugenics Movement. 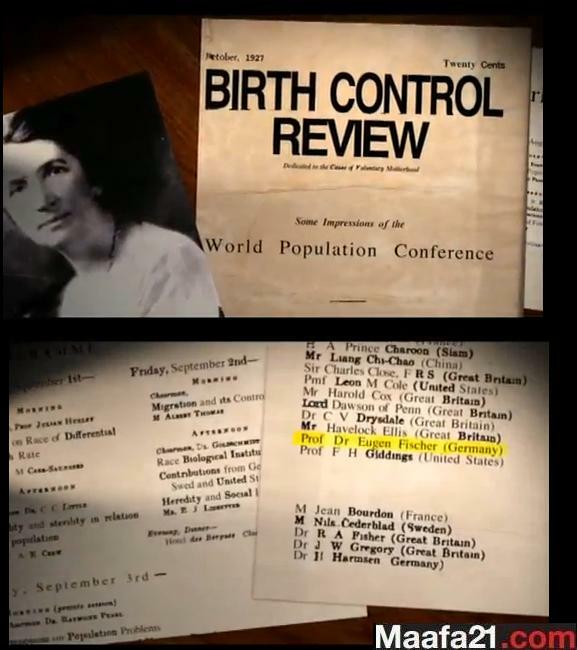 Sanger helped to create the World Population Conferences, a global gathering of leading eugenicists, to promote birth control and other forms of population control. One of the leading eugenicists, funded by the same Rockefeller Foundation that funded Sanger’s work, was Eugen Fischer. He was the Director of the Keiser Wilhem Institute for Anthropology, Medical Genetics, and Eugenics in Berlin, Germany. Sanger included Eugen Fischer as a contributing leader in her World Population Conference as evidenced here in the program for the event (h/t Maafa21.com). It was Fischer’s “racial hygiene theory” that Hitler adopted leading to the mass extermination of over 11 million precious lives. Cosmo would like to think the present just magically appears, like flawless skin on their photoshopped models. But it takes real journalists to explore beyond superficial euphemisms and uninformed advocacy. Jessa Duggar isn’t blinded to history by the broken lens of liberal feminism. The only thing deranged about tying abortion to the holocaust is deniers like Cosmo and its writers who think abortion is simply a fashionable choice.